Boxing in the workplace, we come to you! The Boxing Class that comes to your office! Boxing is fast becoming one of the trendiest forms of exercise and with the all the great benefits, you can see why. 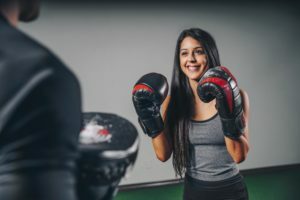 It's growing popularity as an alternative way to get fit, lose weight and relieve stress is easily justified and with the likes of athletes such as Anthony Joshua flying the flag, it's understandable why the sport is becoming more and more popular. Our boxing technique class will provide attendees with the basic skills of boxing, working on technique, accuracy, footwork and combinations. There is always more to learn with boxing and each class will focus on learning a new skill. This session won't just be about learning as our instructor will make sure to put you through your paces ensuring you've had a good work-out whilst gaining some new skills. Our boxing technique class is for up to 10 participants (per trainer). This is to keep the class small enough so that individuals can fully learn new boxing skills and get more focused time with the trainer. See below for info on how our booking works. Boxercise is a boxing based high intensity interval training class. This class has many benefits and is a fast growing exercise class with over 1.2million participants worldwide. 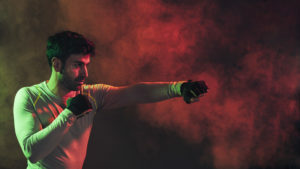 Our boxercise class is designed for up to 15 participants (per trainer). The aim of this class is to fully get your sweat on using the drills and exercises many professional boxers use. See below for how it all works. We come to your office, weekly, fortnightly, monthly or as a one off. Your company will have a unique booking webpage for your staff to book their space. Book a free trial for your company!